The 2019 FIS World Championships in Snowboard, Freestyle and Freeski will be held in the Wasatch Mountains from February 1-10, 2019. Three of Utah’s world-renowned resorts – Park City Mountain Resort, Deer Valley Resort and Solitude will play host to what is expected to be the strongest World Championships ever attracting over 700 athletes from 36 nations. The World Championships will entail some of the most exciting disciplines in the sport. Never before have all of these sports come together in such an historic location! This will be the largest international event in Utah since the 2002 Olympic Winter Games. We’re excited to announce that Canyons Village at Park City Mountain will be home to the opening ceremony and big air skiing on Saturday, February 2nd and big air snowboarding on Tuesday, February 5th. All events in Canyons Village will be free, open to the public and will take place at night under the lights. Join us on Sunday, February 10 for the 2019 World Champs Closing Ceremonies on Main Street with a performance by Lupe Fiasco. Closing Ceremonies, including the Lupe Fiasco performance, are free and open to the public. All competitions are free and open to the public. Public transportation is available between all venues, as well as around Park City. We encourage all spectators to carpool and utilize public transportation. 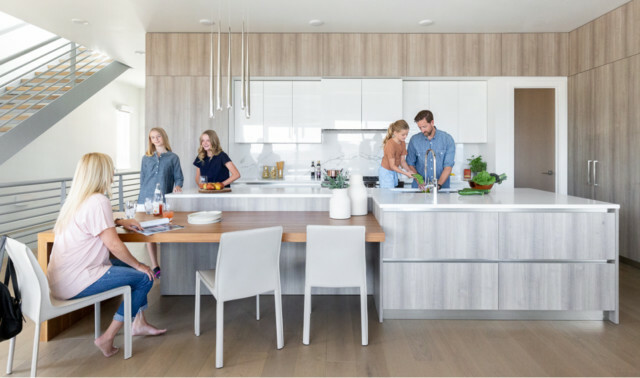 From high above the newly invigorated Canyons Village at Park City, Apex Residences presents a new brand of modern sophistication and a lifestyle to be cherished for generations to come. Your mountain retreat awaits. Check out our various exquisite ski-in, ski-out residences and call 435.429.APEX to schedule a private tour today! Be sure to visit our sister property, Viridian Park City, on the 11th fairway of Canyons Golf Course. No Federal agency has judged the merits or value, if any, of this property. This is neither an offer to sell, nor a solicitation of offers to buy, any property in those states where such offers or solicitations cannot be made. The complete offering terms for New York residents are in a CPS-12 application available from seller. File No. CP16-0106. WARNING: THE CALIFORNIA DEPARTMENT OF REAL ESTATE HAS NOT INSPECTED, EXAMINED, OR QUALIFIED THIS OFFERING. Illustrations are artist’s conceptual renderings only and are subject to change without notice. Amenities described herein are anticipated but not guaranteed and may not be completed by seller. Neither seller nor seller’s agents assume responsibility for the accuracy of the information contained herein. Buyers should review the purchase agreement, public offering statement, and other offering materials provided by the seller prior to signing any contract to purchase a unit. ©Apex Park City Residences LLC. Unauthorized use of the images, artist renderings, plans or other depictions of the project or units is strictly prohibited. The information contained herein is furnished by the owner to the best of their knowledge, but is subject to verification by the buyer. Seller’s agent assumes no responsibility for accuracy. The sale offering is made subject to errors, omissions, changes of price to sale or withdrawn without notice. Elevations and floor plans are shown accurately at time of rendering. This information is subject to change without notice. Buyer is responsible to verify the accuracy of all information to the buyers own satisfaction. © 2018 BHH Affiliates, LLC. An independently owned and operated franchisee of BHH Affiliates, LLC. Berkshire Hathaway HomeServices and the Berkshire Hathaway HomeServices symbol are registered service marks of HomeServices of America, Inc.® Equal Housing Opportunity. Information not verified or guaranteed. If your home is currently listed with a Broker, this is not intended as a solicitation.